Rated 5 out of 5 by herc1 from On Cloud Nine Always love World Mosaics. Would love to see even harder ones. Only complaint - the colors could be brighter. Will buy every one of these. Absolutely my favorite. Rated 5 out of 5 by rondakbandy from How you play it is everything. I almost hated this game when I was playing in story mode. You have to use one color to solve everything and frankly it was, for me like pulling teeth. I'm just not good at those. I did finish the game and wondered what the colors button would do. You get at least two colors to work with and I could not be happier this option is available. Try both kinds in the demo to see which or if both will suit you! Rated 5 out of 5 by AdrianaIP from Another one,, with the hope for more All the features we loved in previous World Mosaics are there: Highlighted rows and columns, numbered cells as you move across or up and down. Pretty pictures at the end, a not to serious narration, but still informative about old legends. Puzzles that begin simple at first, and then get harder and harder. We had the bad news that this developer was getting out of the business - and it was bad news, as it has given us some wonderful games in the past and not just these Mosaics. It "building" games are superb, and so are other simple games. So buy it, not just because it is a World Mosaic, but because by buying it, we may help the developer stay afloat, and who knows, maybe one day there will be another "Bistro Boulevard"
Rated 5 out of 5 by asthehind from A great return! I was thrilled to see a new World Mosaics game for download, and having played for some time I am not disappointed! So far I've been playing the story mode, which takes you through some well known tales from around the world. The mosaics are as challenging and enjoyable as ever, the sound good and the music catchy. I've also enjoyed reading the story in between the levels. World Mosaics has always been a much better series than the Griddler (or whatever they're called!) games. They just work better and are more entertaining. Whether you've played previous World Mosaics games or not, this is a title for you. Rated 5 out of 5 by dutchheart58 from I love the World Mosaics games! 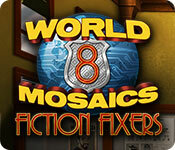 Super happy that there is finally a new World Mosaics game! Pros: Story Mode and a Color Mode similar to World Mosaics Chroma. Cons: It took way too long for them to make a new World Mosaics game. Looking forward to playing the whole game! Rated 5 out of 5 by Granny_Gruff from Wonder of Wonders, Miracle of Miracles! You have a story to lead you through the 110 different puzzles of this new game just as in the previous seven World Mosaics games. This time you are sent to fix fictional books that had been stolen and rearranged by Victor Vile, whom you have recently caught. You start your adventure in the tale of "Beauty and the Beast." Good Stuff: As in previous World Mosaic games, you will be filling in the squares of each puzzle to uncover a mosaic picture that depicts the next part of the story. There will be eleven chapters with ten puzzles in each chapter. Each chapter and puzzle will have a brief paragraph adding to the story. 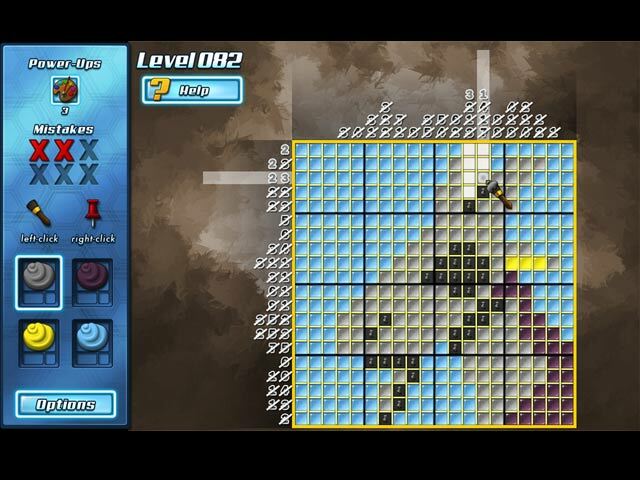 Bad stuff: We've had to wait since 2013, when World Mosaics 7 came out, and 2014, when World Mosaics Chroma appeared online as a free download, to finally have this new game available. After Fugazo bit the dust in 2015, a new World Mosaics seemed only a dream. Thank heaven, the wait is over! I have hundreds of HOP/ Adventure games on my computer, but after a long bout of playing one of them, there is the quiet pleasure of a puzzle or Match3 game as contrast. World Mosaics has always been my alternative of choice and I've played all the previous ones repeatedly. While I've enjoyed them - even the umpteenth time around, I've longed for a new one and thought that there would be no more after the shutting down of Fugazo in 2015. You will excuse me if I'm a little giddy with the joy of one more new World Mosaics. If you like these puzzle games, rejoice with me! If you haven't tried one, this one has as good a tutorial as previous games in the series and is a good way to try this type of game. Download the Demo and Enjoy! Rated 5 out of 5 by pennmom36 from Color My World This edition of World Mosaics offers a story, as you play the role of a Fiction Fixer (there are HOPA games available as well from BF: Alice in Wonderland and The Curse of Oz) After defeating your nemesis Victor Vile, during your last encounter, you discover that he has stolen 10 classic books. The only book recovered so far is Beauty and the Beast, so you must use the Faction Fixer Portal to enter Beauty and the Beast and search for the next book. Each "book" allows you to enter that story and interact with the main characters as you search for the next book. Each of the storybooks have 10 mosaic puzzles that form pictures relating to the story's progress such as a Castle from Beauty and the Beast, or a Rose from the Beast's garden. You can earn up to 3 Stars per level if you don't make any mistakes or use power-ups. The Power-up feature allows you to choose a 3x3 grid to be filled. The downside? Color Mode! Seems they have elected to give you either/or with this game. You can solve grids in basic colors in the Story Mode OR you can choose Color Mode which has several colors to switch to, but you don't get the story, which is not bad in reality. I decided to look on the bright side, or colorful side. 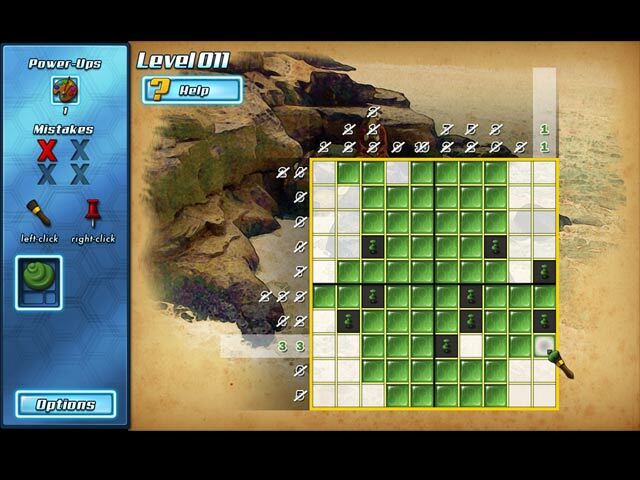 I can solve all 110 puzzles in Story Mode and then switch over to Color Mode to solve another 110, enjoy! 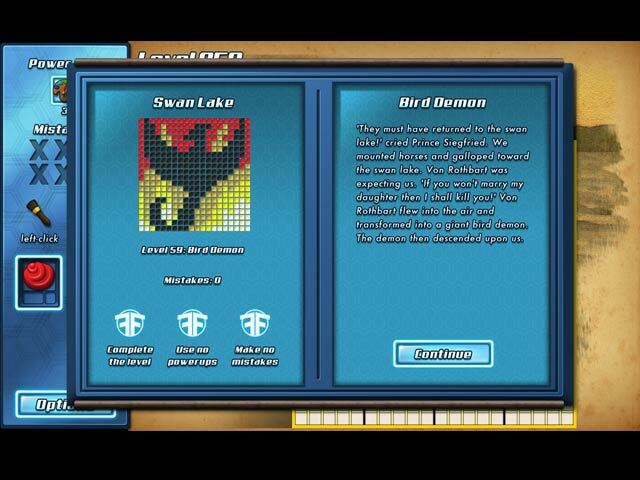 Rated 4 out of 5 by Rezcanada from Welcome back World Mosaics! I was pleasantly surprised to see this title in the New Releases. I have the previous World Mosaic games, and they are my favourites of this genre on BF (I have played them over and over...). I always enjoyed the level of difficulty of the WM games, compared to the Fantasy Mosaics series. IMHO the feature of filling in the 'blanks' in the FM games takes away some of the difficulty level. Players who started this type of 'griddler' game with the FM series would not be used to the WM functionality, but I say "Give it a try!" Maybe the devs of both could make the automatic filling an 'option', to satisfy fans of both series. Quick comments: Pro: - The feature to play with alternate colours. As found in the FM games, it adds an option for something different (i.e. replay the levels over in colour mode for a change). Cons: - No additional Bonus levels, as found in previous WM series. I enjoyed going back and forth between the story levels and the 'themed' bonus levels. Bring them back!! - only up to 20x20 grid. I appreciated the tougher 25x25 grids as you progressed through the game. - Tutorial... please bring back the option to turn it off (but at least is was only in the first few puzzles). Enjoy your gaming! Rated 4 out of 5 by phatkhat from Pretty good, could be better. First, I always buy all the griddlers! Love 'em to death, and am totally addicted. But some ARE better than others. I'm not a big fan of the Penguins (know I'm in the minority) because they are way too easy. Some, notably 8 Floor games, are mind-numbingly difficult. World Mosaics, Gizmo, Arizona Rose, Hidden Clues, and a few others straddle the middle way, and these are my faves. As to WM 8... It seems a little old-fashioned, a little slow and clunky. And no autofill! How retro is that? ;o) Pros: *Cute storyline *Nice music *Neutral background *No ambiguities found* *Good level of challenge *As long as you don't release the mouse button, you can cancel your selection *You can drag either tiles or pins out of the line/column without either losing your marks or making unwanted ones. (My biggest gripe with FM, since my hand/eye coordination could be better these days!) Cons: *Non-skippable tutorial (Should be separate from gameplay) *No autofill *The colors! The story mode was fine, because it was a straight one color grid. The color mode, however, frankly sucked. WHY in the world would you put white tiles on a white background!?!? Too many of the colors were very pale, and hard to distinguish, either from the background or each other. FM uses unrealistic, garish colors, but at least you can SEE them. Couldn't they use the actual colors of the finished picture for the puzzle? Despite the cons, I liked the game a lot, and will no doubt replay it. I do recommend it highly - warts and all!